Solotu, which means “Only You”, was created with the bride in mind, to help her make the gown of her dreams a beautiful reality. Whether you have been able to visualize your wedding gown since you were five, or you are just now catching the wedding bug, our job is to make a gown that is not only made for your body type, but one that also represents your unique style and personality. Every dress at Solotu is fabricated with the finest fabrics to create that one-of-a-kind look. From Italian satins to delicate French laces, you can be assured that every dress is fabricated with the highest quality goods. 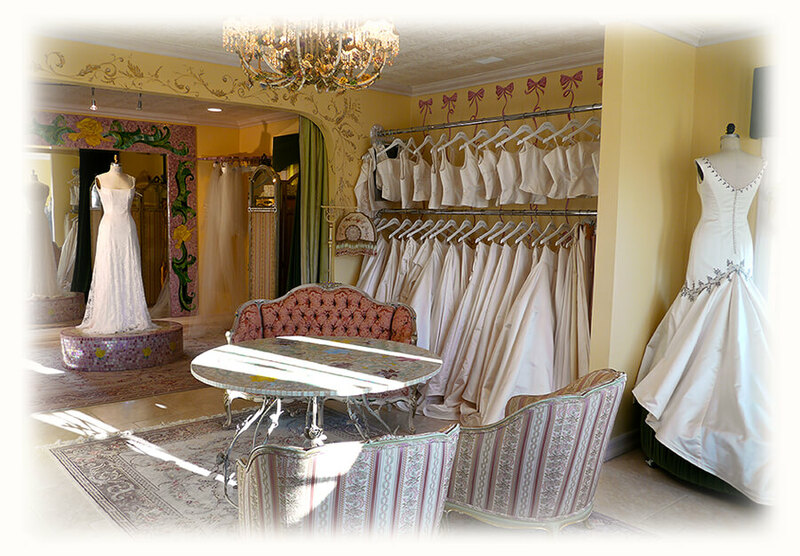 In our relaxing showroom you will meet one-on-one with our designer to create your dream gown. This is where you will discuss the vision you have for your special day and the way you want to feel. We have countless sources of inspiration to help you design your dream dress! At Solotu you will never have to try on another sample size that doesn’t fit you again. Solotu’s philosophy is NO SIZES. 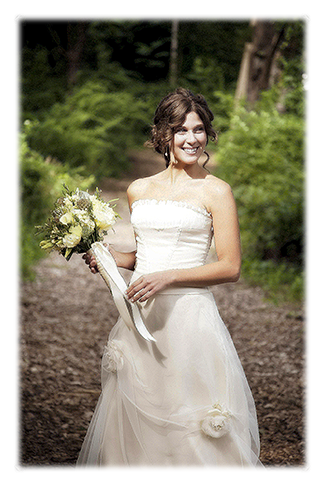 We take 27 precise measurements of your body to make sure that every gown fits and feels like it was made for only you. Raffaella Galeotafiore is the creator and designer behind Solotu Custom Gowns. When she was a child she loved the handmade dresses her mom made her. Even as a child Raffaella knew that there was no fit like a dress that was custom-made to her style and measurements. This understanding of fit and quality at such a young age helped ignite her passion for custom-made. Raffaella’s journey to custom-made gowns began with her studies at The Fashion Institute of Technology in New York City. There she received her degree in Fashion Design with a specialization in Eveningwear. At the end of her studies at F.I.T. Raffaella quickly understood that she wanted to expand on her knowledge and she took her new love of eveningwear and custom-made and kept striving to learn as much as she could about design and dress construction. She decided to attend Maison Sapho, a French dressmaking school where she was able to expand her knowledge of couture techniques and finishes. Raffaella understood that patternmaking was the key to successful custom-made gowns. Knowing this, she entered into a two year Masters in Patternmaking program at the Instituto Carlo Secoli in Italy where she learned the ins and outs of the patternmaking world. She took the knowledge given to her through her journey and made her dream of designing and creating custom-made gowns a reality. Solotu specializes in made-to-measure custom designed gowns. Raffaella believes the perfect fit paired with unbelievable quality and service creates a happy client. That is what she calls The Solotu Experience.